What does the inside of your pharmacy look like? Is it drab, dull, and even outdated? Is it inviting to customers, or sterile and institutional? What about your customers' comfort and convenience? Are products clearly visible, with displays set up so shoppers can find what they need without trouble? Is your decor inviting so that customers stay, relax, and enjoy themselves while they shop? Your pharmacy doesn't just provide customers with the products they need. Your store design must also attract and impress customers – and keep them coming back. How? If you haven't updated your look in a while, you need to. Today's retail pharmacy store design values aesthetics. Modernize your store's interior by paying attention to decor; opt for bright or soft colors on the walls, furniture and flooring, invest in quality imitation or real wood flooring, and update your pharmacy fixtures so that they are modern, aesthetically pleasing, and inviting. Change your lighting as well. Instead of using overhead fluorescent lights, which can produce a harsh glare, choose bright but soft indirect lighting that is much easier on the eyes. Great customer service is a top priority for any pharmacy – and that includes a central focus on customers' comfort and convenience. 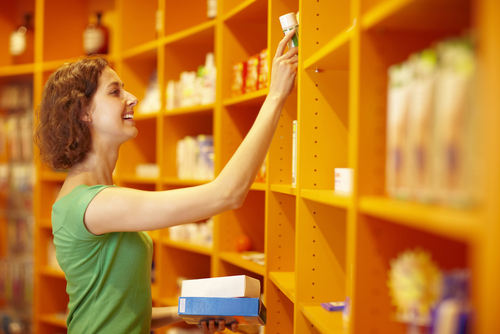 Your retail pharmacy store design can go a long way toward helping you achieve that. Your merchandise displays can be incredibly creative and your departments neatly organized, but if you place products for sale higher than eye level, you're ensuring that many of your customers either won't see or won't bother with the merchandise placed there. As a pharmacist, you know that many of your customers probably have physical limitations that make it difficult or impossible for them to reach what they need if it's above eye level, and even able-bodied customers may not feel like taking the time or effort to do so. 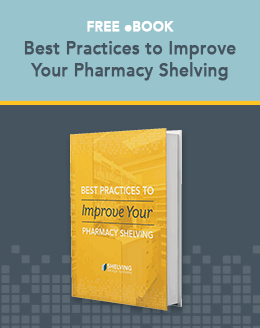 For optimal retail pharmacy store design, make sure your shelving and displays are all at eye level or below. Many of your customers probably have difficulty walking, and will need to sit and rest now and then while they shop. If you can, it's also good idea to provide electric scooters for customers, but for those who simply want to take a break, a comfortable chair placed nearby will make their shopping experience much easier and more enjoyable. Make sure your signage clearly guides customers through your store and fits your "brand"
Your retail pharmacy store design should include signage that is clear and easy to read, and matches your "brand" look by using your logo, specific colors, and so forth. This makes you look professional, but your signage's central purpose is to guide customers so that they find what they need without struggle. The best retail pharmacy store design layouts are set up so that your customers are encouraged to stroll through your store and enjoy their shopping experiences. Make foot traffic paths wide enough for people to pass each other easily, and set them up to guide customers through your store naturally. This will give them an opportunity to look at all the merchandise you have on display and for sale. By "encouraging"customers to stroll through the entire store when they shop, you'll ensure that they see (and can buy) products they may not even have thought of.